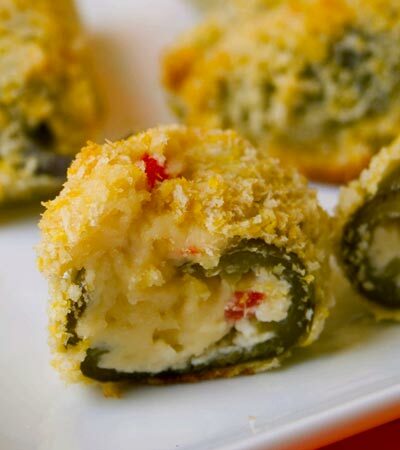 A delicious and different jalapeno popper recipe. 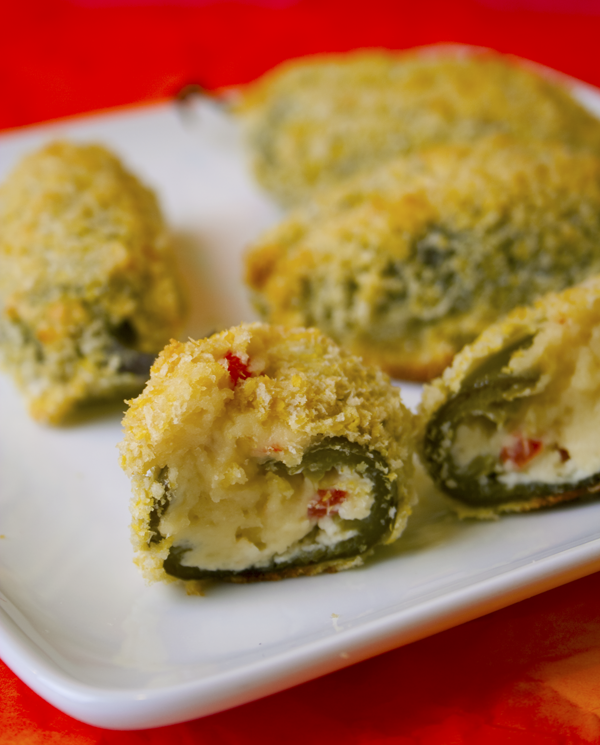 This vegan jalapeno popper recipe is different in a few ways. For one thing the jalapenos are blanched before baking them. This helps to make them more pliable before stuffing them and easier to bite into. Also the filling is created from almonds instead of using a fake vegan cream cheese, which I personally don't care for. Want to know what others thought about this recipe? Would you like to comment on this recipe? Go to the Jalapeno Poppers blog entry. Wearing plastic gloves, split peppers half way through length wise and with a small spoon carefully scoop out seeds. While doing this take care not to break the jalapeno. In a deep sauce pan bring water, vinegar and salt to boil and add peppers, cover and boil for 7 minutes. Careful not to stick your face around the top of the sauce pan when raising up the lid. :D While those are cooking prepare bread crumbs and filling. First place bread crumbs into food processor with olive oil and nutritional yeast and pulse 5 times. Pour into large mixing bowl and set aside. Prepare batter by mixing water and egg replacer together in a small mixing bowl and set aside. For filling, place almonds, salt and sugar into a food processor and blend for about 2 minutes or until clumps start to form. Place tofu, olive oil, onion powder, salt, red wine vinegar in processor and mix another 2 minutes. With a spoon stir in pimentos into filling mixture by hand. Grease cookie sheet or use wax paper. Drain peppers after cooked. Fill with filling using a small spoon. Dip into batter and then quickly place into bread crumbs mixture and roll the filled jalapeno around until completely coated. Place onto cookie sheet. Place in oven and bake 12 to 15 minutes.